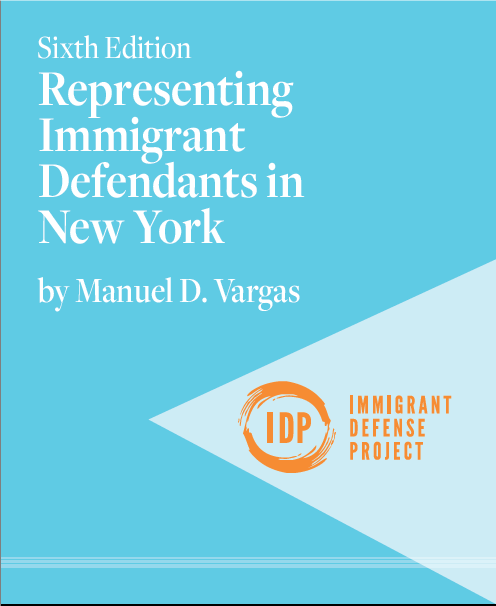 The 2019 Edition of the Immigrant Defense Project’s New York Quick Reference Chart has been revised and is now available with updates current through the 2018 calendar year. Immigration law and practice change constantly. 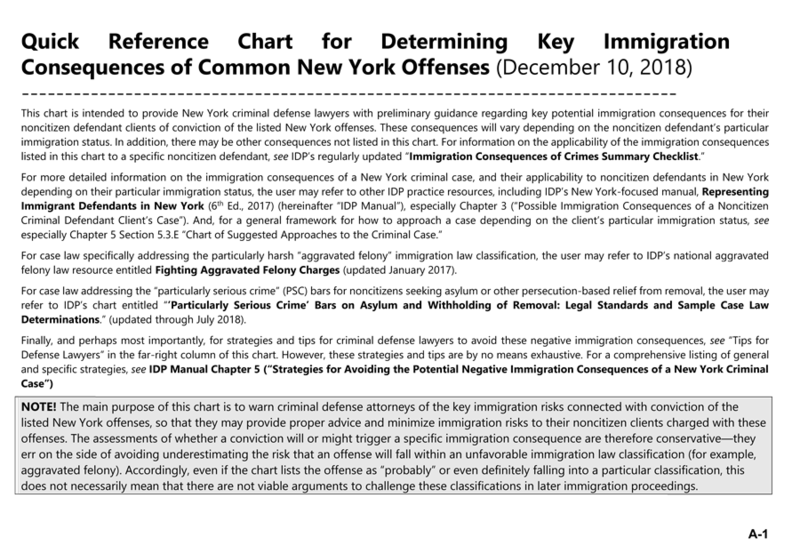 By subscribing to the 2019 Edition of the New York Quick Reference Chart, your entire practice will have access to newly updated information about the possible immigration consequences of specific, commonly charged New York offenses. Subscribers will receive practice notes about significant legal developments and a 20% discount on the next update, expected in January 2020. Agreeing not to distribute, reproduce, or otherwise provide or allow access to the resource to anyone, with the exception of individuals employed by your firm or organization. Agreeing that you may provide temporary use of the resource to interns or volunteers during the time they are engaged by your organization or firm for the purpose of their work on behalf of your organization or firm. 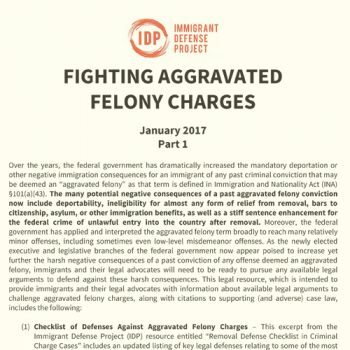 Agreeing to notify the Immigrant Defense Project immediately if you learn that an unauthorized person or entity has accessed the resource using your account or any other information provided by or obtained from you or your anyone at your organization. Attesting that you have truthfully represented your organization’s operating budget or firm’s revenue in the most recent fiscal year in choosing your subscription price.